Did you visit Vermont’s libraries? 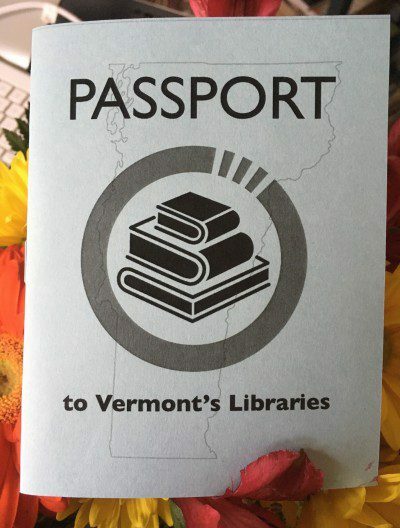 Bring your passport into the library between September 1-28 and let us count your stamps! We will submit your tally to the Vermont Library Association. Four patrons statewide–an adult, young adult, child, and one “wild card”–will receive Vermont Library Ambassador Awards for visiting the most libraries. You can keep your Passport!